Hi Guys, I have put the userprofile and account on the 2T HHD. The SSD now still has 90 GB available. That will diminish somewhat if and when I put more graphic programs on it. But I can live with that. Prixat, did you get a better render using ray trace and uberenvironment? 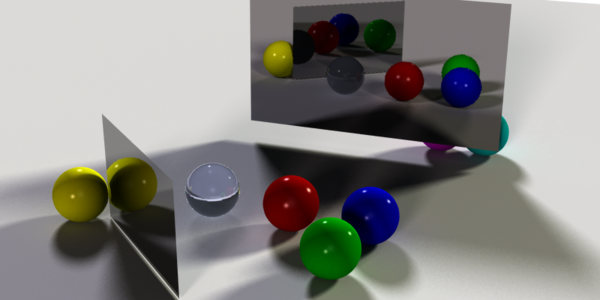 ...did you get a better render using ray trace and uberenvironment? yeah, there's really no substitute for actually calculating each ray. Well prixat, that is quite some difference! The glass sphere that kept its correct reflections in the mirrors and had a proper lensing highlight, thats the full-GI, ray traced UE. The other is with point cloud occlusion. It seems to have a bit of a problem with refraction, but otherwise looks just as good and took less than 2 minutes. Its a bit of an unknown entity that script. Sometimes I have to switch off UE, this time I did not have to. If it's 64 bit with more than 8gb ram installed, when typing in Painter X in the last bit of the code put it in quotation marks... ie fixit "Painter X.exe" - this gets around the code not working because of the 'space'. Now I have Corel Painter X back! How do you measure specific render time for the Fairy Genesis scene? Is there a log or something? You should see a progress bar of the render process. It shows you the time elapsed doing the rendering. After over 30 minutes my render was at around 46%. So I went to make coffee and read a book. When I came back the render had finished. I don't know specifically when I kicked it off so I don't know exactly how long it took. I would have to guess an hour at least. I have an Intel 3110 Xeon and 8GB DDR3 and was actually heading out to replace it when I decided I should probably do more research. Now I'm wondering if there's something up with my current system or if an hour or so to render that one scene is "normal" for what I have. The render time will also appear in the log.